Easter dinner is over and if you are like Debbie, you cooked a massive turkey and you have tons of left overs. A regular old turkey sandwich is the classic, and oh so good, way to use your leftovers, but Debbie and I like to change it up once in a while and have one of our Open Faced Turkey Sandwich Melts with gravy on top! Those are dabomb.com as my daughter would say! 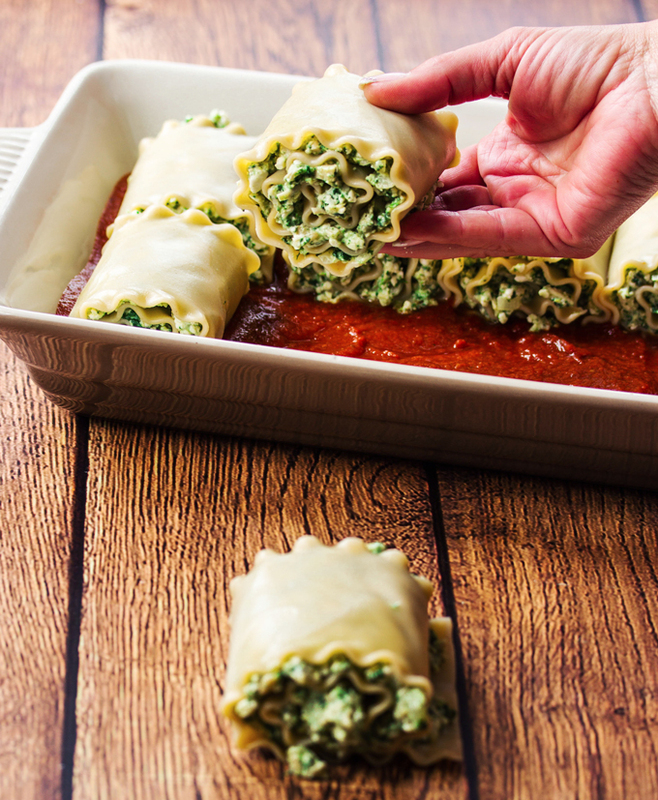 OR… as we did yesterday, you could make these Turkey and Spinach Pasta Roll Ups with Tomato and Béchamel Sauce. Leftovers that don’t taste like leftovers. My family isn’t too huge on left overs… As long as it’s delicious, I could eat the same thing every day until its gone, but Kevin would start questioning my sanity if I tried to serve turkey dinner or turkey sandwiches for dinner until it was gone. I have to get a little creative. We made this dish off of an old wrinkled up, half torn, weathered by time, piece of paper. It’s an old recipe that Debbie has been making since before we had food blogs and Pinterest to organize your recipes. Now she can throw the paper away and it will live forever on the world wide web! I love technology, however there is still something to be said about the old way of sharing recipes. On hand written recipe cards kept in a box with a lid that flips open. My mom has one, Debbie has one, my Grandma’s all had one. Women sharing their recipes by writing it down on a card and giving it away when someone tasted their dish and HAD to have the recipe. I love how you can tell the good ones by how dirty and stained they are. Much like the dirtiest pages of a cookbook. If how bedraggled the written recipe is, is an indication of how tasty the recipe, then this one must be scrumptious! And it really is so good. 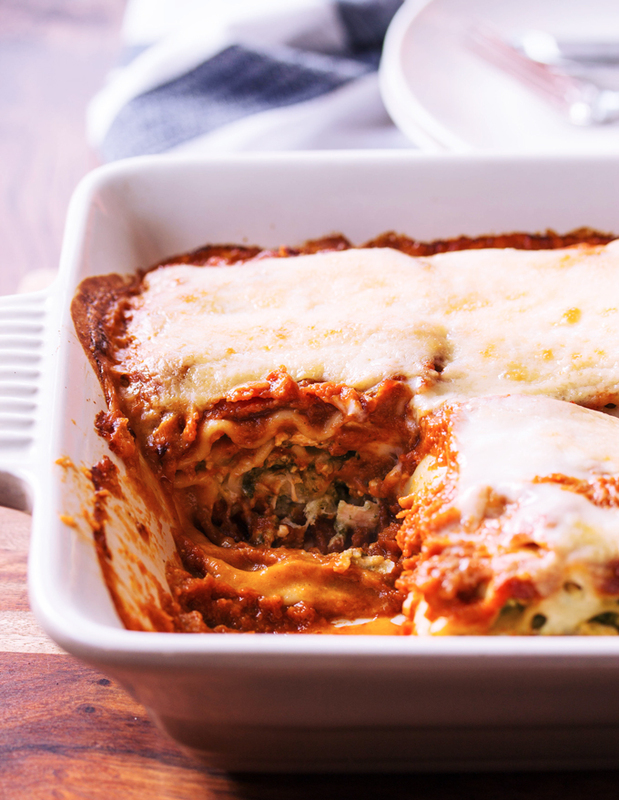 All the familiar flavors of lasagna, but with turkey instead. I love how this dish is served as roll ups rather than flat. It makes it really easy to portion it out and to know how much pasta you are consuming. Which is great if you are counting carbs or calories. 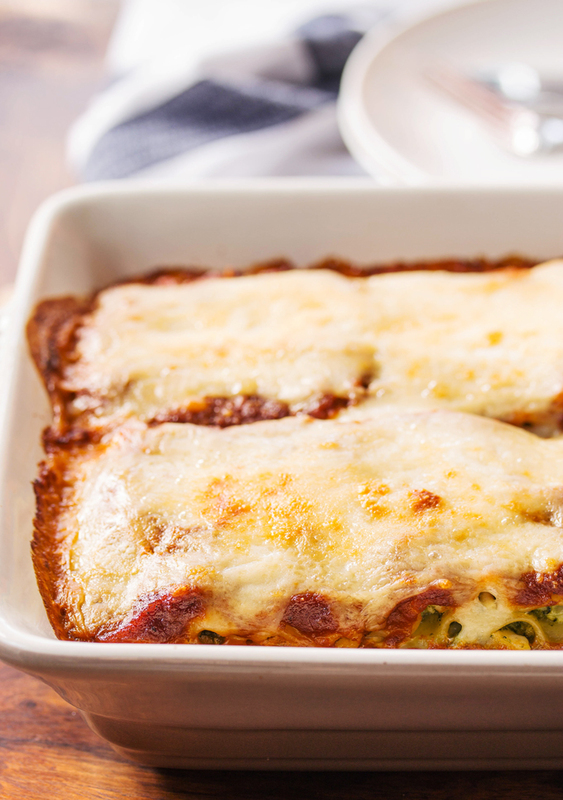 A typical lasagna noodle has 90 calories and 18.5 grams of carbs. If you only have one roll with a salad for dinner, you get to eat pasta without having a carb overload at the same time. That’s important to me! 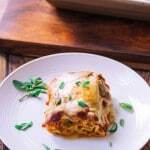 Some options you have when making this dish is first, to use a gluten free rice lasagna noodle rather than the regular wheat pasta. The only thing I don’t like about gluten free noodles is that they tend to absorb too much liquid and become soggy if they sit overnight so I would plan out how many rolls you will need and only make that many at a time if you are using the gluten free option. Third, you can easily exchange coconut milk for the cow’s milk in the béchamel recipe. 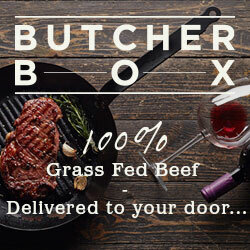 It will taste the same and be that much healthier for you. All of these options are listed below in the recipe. Let us know how your Easter dinner went and how you plan to use your leftover turkey! Heat a medium pot on medium heat. Chop onions, celery and peppers. Sauté for 3 mins, then add the chopped garlic and sauté till tender. Add tomatoes, tomato paste, the herbs and cook for an hour till some of the liquid evaporates. Using a hand held blender, blend till the sauce gets smooth or add all ingredients in a regular blender and blend till smooth. Set aside. Heat a small saucepan to medium heat. Melt the butter. Add flour or cornstarch and stir until the butter and flour are well combined. Pour in chicken broth and milk. Cook till the sauce thickens. Add the cheese and take the sauce off the heat. Set aside for a moment. In a large bowl add chopped turkey, cottage cheese, eggs, basil, and parmesan cheese. Mix it well. Heat a pan on medium heat. Sauté the onions and garlic till its tender. Add the spinach and cook till it's wilted. Mix the onion and spinach mixture in with the turkey. Fill a large pot with water and bring to boil. Add lasagna noodles to water and cook till al dente. Drain and add a bit of oil to noodles so they don’t stick. Turn on your oven to 350 degrees. Add a thin layer of tomato sauce to the bottom of a 9x13 casserole dish. 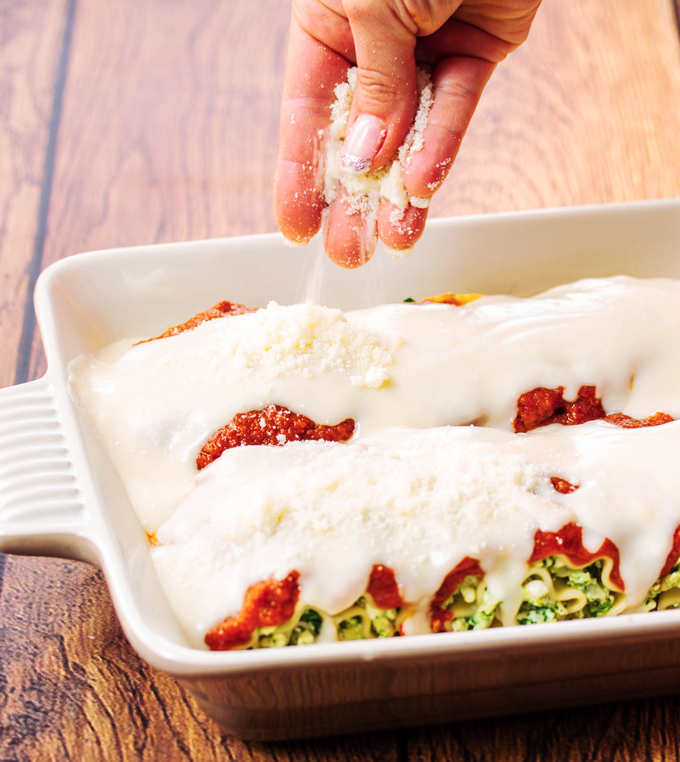 When lasagna noodles are cool lay them out on a flat surface a few at a time. 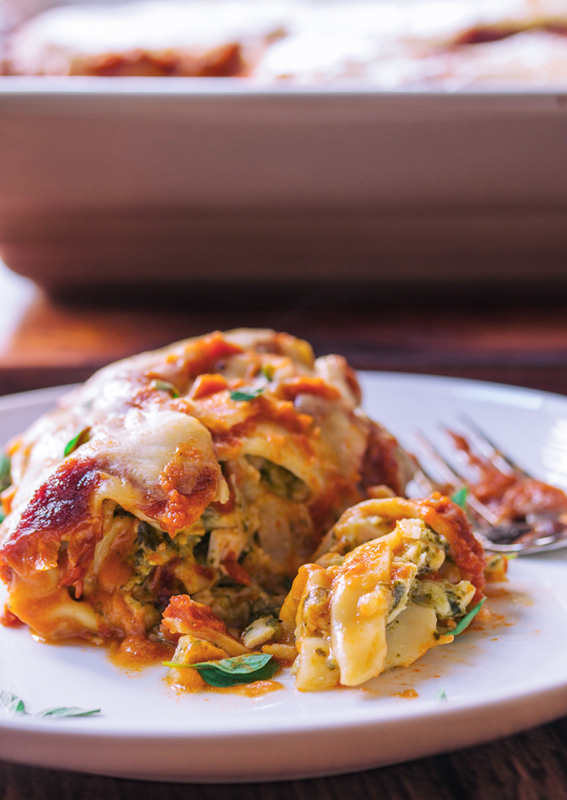 Spoon the turkey mixture over the lasagna noodles and spread evenly over the whole noodle. Roll the noodle up, and repeat till all turkey mixture is done. Place rolled noodle on the layer of tomato sauce in the casserole dish. Cover with remaining tomato sauce. 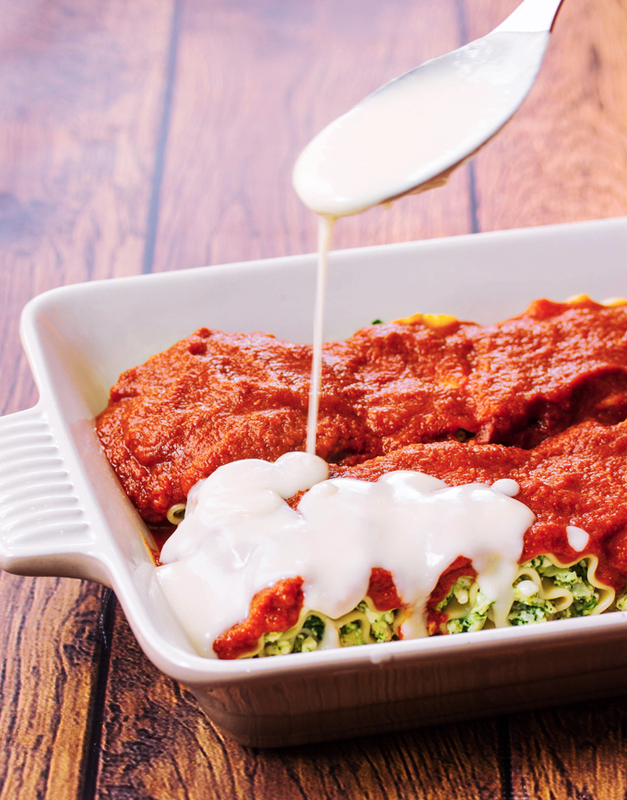 Pour white sauce over tomatoes sauce, throw it in the oven and bake till hot and bubbly. 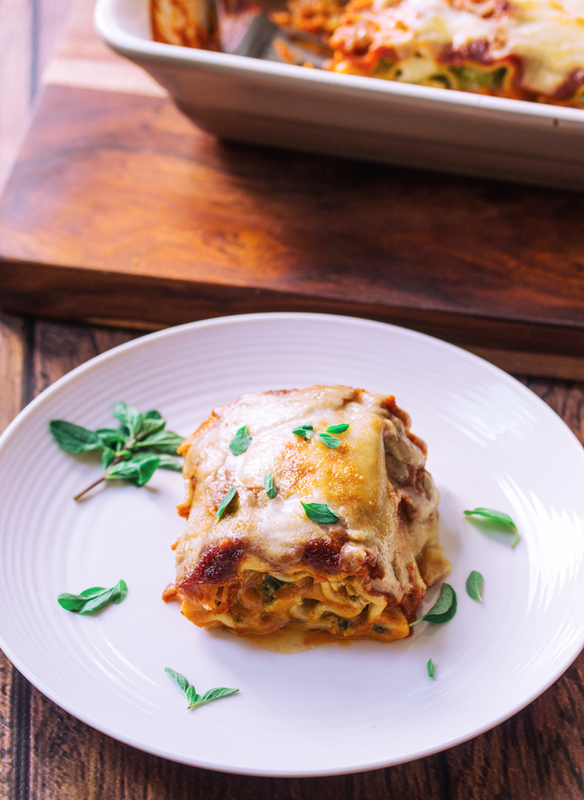 This recipe makes enough to fill about 15 to 16 noodles, however sometimes the noodles break so if you are wanting that many at once, its a good idea to make a couple extra lasagna noodles in case. 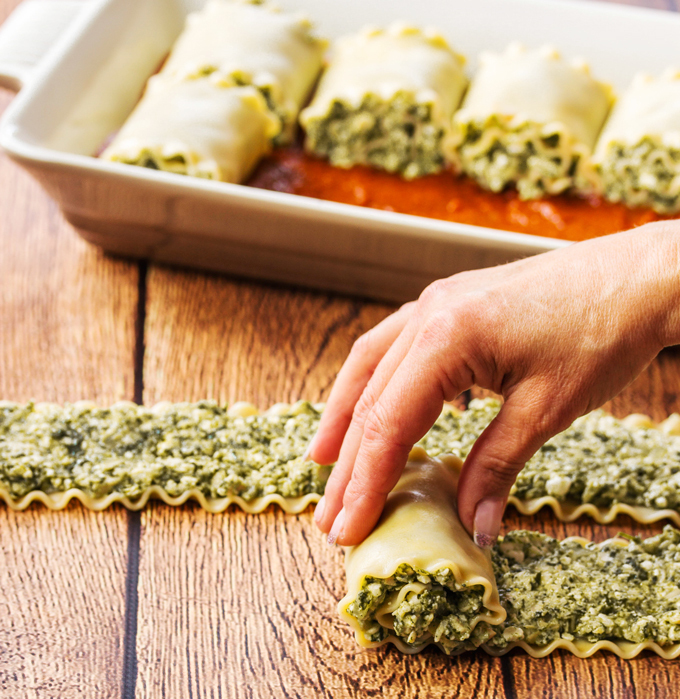 I’ve never made a lasagna roll up like this before! 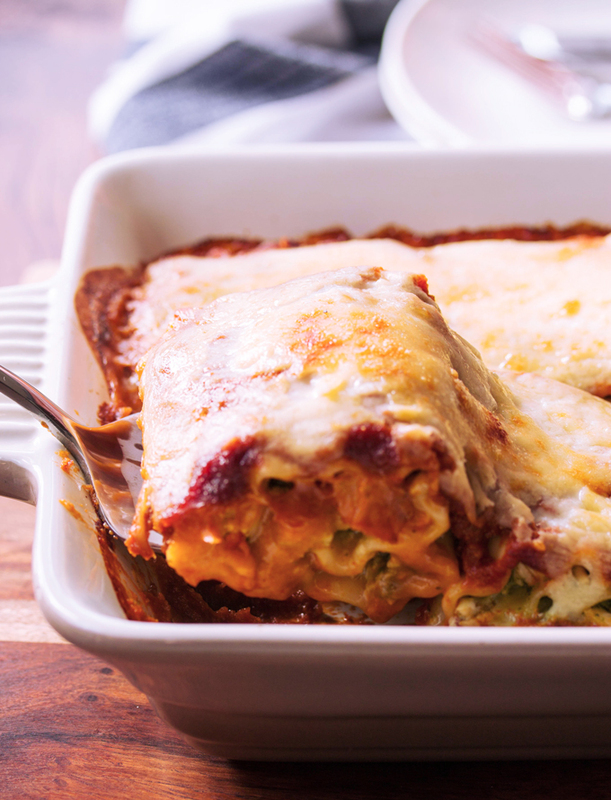 Totally am inspired to now – what a hearty & delicious dish. Thanks Thalia! I think you will like them. And you can really stick whatever filling you like in them using the same technique.